Remember that delicious Eloté from last weekend? Now you can transform it into a delicious dinner. I saw a similar recipe originally on Pinterest from Little Leopard Book and was instantly intrigued. I always love finding ways to transform your everyday recipes into something wild, so hats off to Whitney for this one. I chose to add actual Eloté into my pasta, rather than use corn noodles like she did. For the sauce, you can use milk instead of cream; but be sure not to cook it on too high of a heat or it will curdle. The recipe says it serves four because of how rich this dish is, but it is also so delicious that it might only feed three. Bake the corn at 350F until soft, about 30 minutes and make the Eloté mixture (see recipe in post). 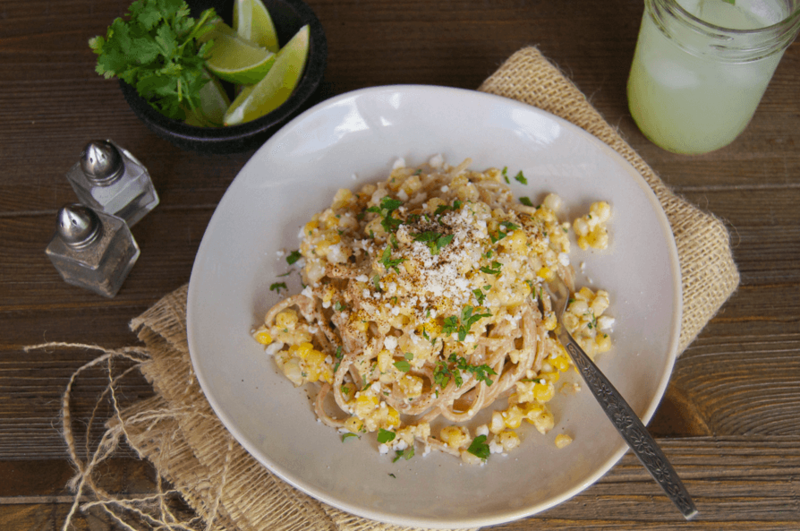 While the corn is cooking, cook the pasta. For the sauce, heat the butter over medium heat in a medium saucepan. Whisk in the cream and cream cheese. Stir continuously until sauce thickens, about 10 minutes. 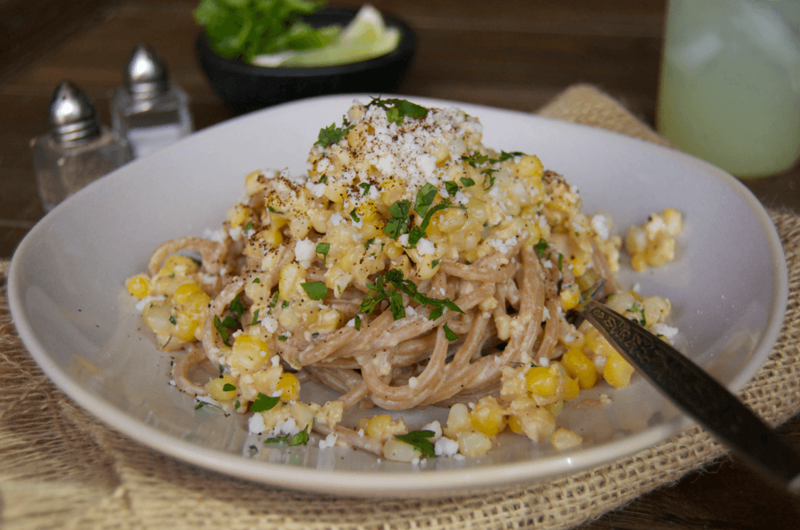 Whisk in the Parmesan and Cotija cheeses, as well as the cumin and chipotle pepper. Cut the corn off the cob and mix with the Eloté mixture. 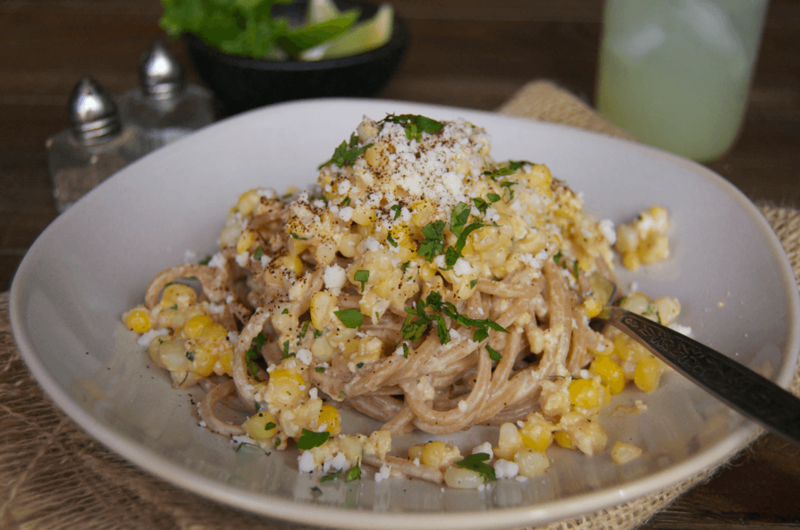 Combine the pasta and Eloté with the alfredo sauce. Garnish with fresh cilantro and lime before serving. 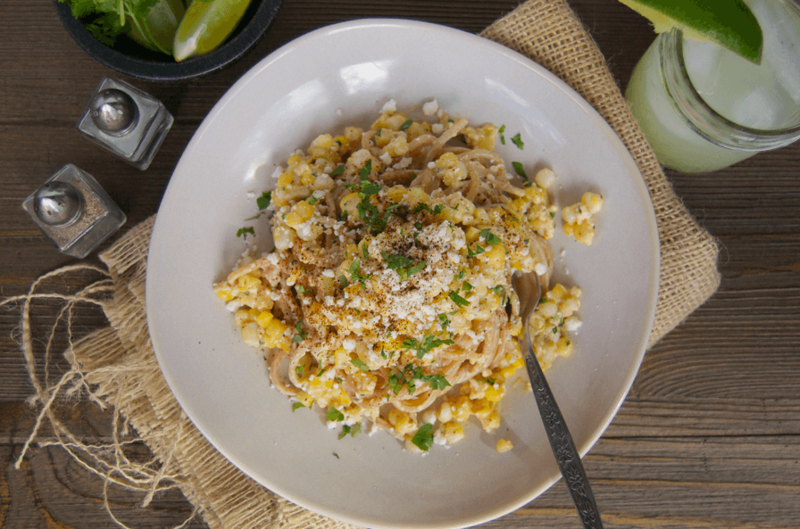 Just had to stop by and tell you this is one of the most delicious dishes I’ve seen all week – and I see hundreds per week – I cannot wait to try this one!